In this month of love, I thought I would spend some time talking about loving yourself, known in the therapeutic community as self-care. Self-care is something that is often misconstrued in Western society as being selfish, I beg to differ. Self-care is actually something quite self-LESS. I find many of my clients, especially those that are parents, give so much of themselves that they run themselves into the ground. I like to use the image of the airplane oxygen mask instructions, “Help yourself, before helping others”. If you first go to help a child put on their mask and you run out of oxygen, then you are BOTH in trouble. The same goes with giving of yourself to others. If you do not take time to replenish your internal resources, your resources will eventually run out and you will have nothing left for yourself or for others. “Running on empty” often results in being easily irritated, having little to no patience, snapping at people and having no space for empathy. Without self-care you are also more susceptible to illness, anxiety and depression. Therefore, I challenge you to use this month of love to practice finding ways to love yourself for 15-30 minutes everyday. It doesn’t have to be anything big or something that costs money. Taking care of yourself can be as simple as sitting down with a cup of tea and a comfy chair. One resource I have found to be hugely helpful is the self-care wheel. I love how this chart provides a multitude of ideas for all life domains. So make the selfLESS decision to commit to taking time for self-care everyday, so you have more to give to those you love. Write a comment below – I’d love to hear how you are taking care of yourself today! BUY TICKETS FOR WORRIED WOMAN HERE!! Happy New Year everyone! In my own life and with my clients, I have found that the new year can bring about a mixed bag of emotions. I am not one for New Year’s resolutions because I find it is difficult to uphold them and can often lead to disappointment in yourself, which is particularly damaging to those who are already predisposed to depression this time of year. However, I have a friend who adopts “goals for the year”, and I find that phrasing grants us more compassion and grace, while also staying more manageable and concrete. They don’t have to be extravagant goals (one of hers last year was to make the perfect hard-boiled egg), just simple things that you would like to look into, try out or start. Regardless of what you call it, one goal I would encourage everyone to adopt this year is to spend more of your time helping others. There is a huge amount of research that shows how altruism, or giving of yourself to others, can be one of the strongest antidotes to depression. I have seen it in my own life and in the lives of many of my clients. As a result, I would like to make one of my own goals for the year to spotlight one non-profit or charity a month that may not be well-known, but is easy to be a part of. I know financial contributions are always welcome and appreciated in any non-profit organization, however, it is the hands-on involvement that will make the greatest difference to your life and in the lives of those you will inevitably touch. That being said, I would like to start 2018 off by telling you about an organization that I recently learned about and have already made a personal commitment to be a part of – Project Linus. If you have never heard of it, Project Linus provides hand-made security blankets to children who come from violent homes, are struggling with serious or terminal illness, or are otherwise traumatized. So, all of you crafty people out there, whether you crochet, sew, knit or quilt, why not put your talents to good use and help a child feel a little love directly from your hands to theirs. Why not have a get together with your friends for a couple of hours where you eat good food, catch up on everyone’s lives and create blankets for children? If crafts are not your thing, Project Linus is consistently needing people to sort blankets, label, package and deliver them! Or, you can also pick up some fleece or yarn and donate it to your local chapter so they can create a beautiful blanket from your gift. CLICK HERE to learn about your local chapter and drop-off locations for all your loving creations! Happy New Year everyone one, and maybe consider making one of your New Year’s goals to volunteer to have a happier year. Can you believe the end of the year is already upon us? 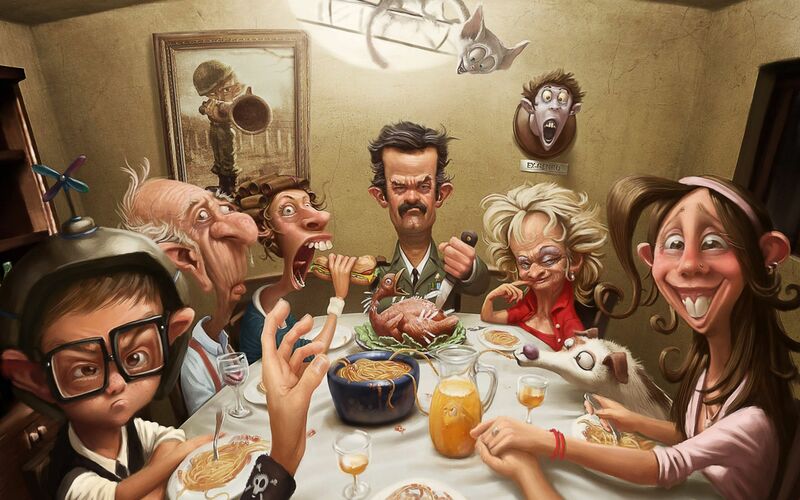 With the holiday season fast approaching, stress can be at an all time high. Please join me for one of these upcoming events to help make the next few months a little easier! But hurry, spaces are limited! 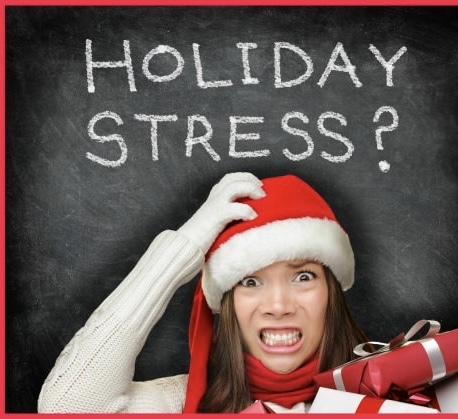 Need a little help managing the stress this holiday season? This workshop is an introduction to self-regulation and combatting anxiety. Participants will learn to recognize feelings within their bodies and how to use that information to calm their nerves.This workshop utilizes hands-on activities and a mediation exercise to help support the information presented. Participants will leave this workshop with a list of immediately executable techniques to help lessen their anxiety while also increasing their internal awareness. BUY TICKETS HERE! EARLY BIRD PRICES AVAILABLE! Is learning to manage life stressors part of New Years Resolutions? Then you are in luck! 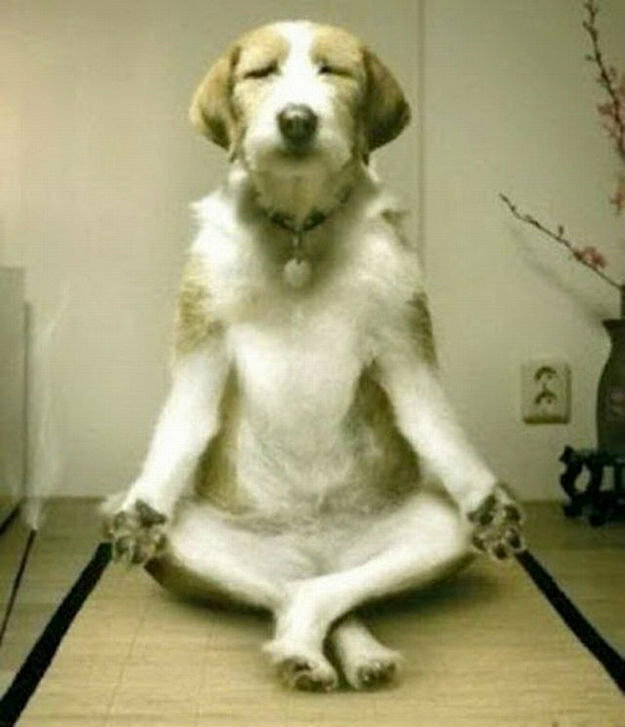 I will be starting a new meditation group in January! Continue to check back for more details! In my practice, I work with a lot of people pleasers with huge hearts who are consistently giving of themselves to exhaustion. At this time of transition, it is critical that you set limits so you are better able to be there for the people in your life. With clear boundaries you are actually setting the foundation for much healthier relationships. To learn more about setting personal boundaries, click here. 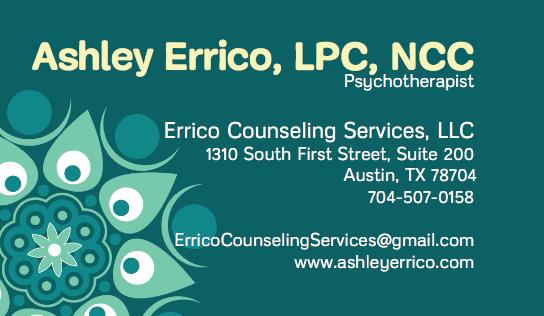 If you or someone you know is interested in utilizing counseling to help you recognize and establish boundaries within your life, please feel free to contact me using the information below. I hope you are keeping cool during these 100 degree days! Since being outside for an extended amount of time has been nearly unbearable lately, I was happy to have come across two new shows, “Born This Way”, a reality show that follows young adults with Down Syndrome, and “Atypical”, an upcoming series about a family with a teenage boy with Autism. This push toward acceptance of individuals who may not be neurotypical is a breath of much-needed fresh air. Along the same lines, there has also been an influx of awareness around mental illness. From depression and anxiety to schizophrenia and borderline personality disorder, 1 in every 5 adults in the United States struggles with some type of mental illness at some point in their lives (click here to learn more statistics). With its commonality and the increase in awareness, I am still baffled at the amount of stigma surrounding mental illness and counseling. I came across this cartoon a couple of years ago, it is still one of my favorites and I like to pass it along every few months. It takes the most commonly heard responses to mental health and applies them to physical health. My dream would be for these responses to seem equally as absurd when referring to mental illness. If someone were to have flu or stomach virus symptoms, the logical response would be to go see a doctor. Similarly, if someone is struggling with anxiety, depression, grief or any other number of life challenges, there is no shame in seeking a mental health practitioner, it should be the logical response. Hello everyone! I hope you had an enjoyable and restful holiday! While discussing the holiday adventures with a friend, our conversation soon turned to the insecurities women feel about our own bodies, specifically in situations requiring swimsuits. These insecurities can inhibit our ability to have an enjoyable time at the pool, lake, or any swimsuit wearing activity as we compare ourselves to each other and to society’s unrealistic ideals. As women, how many times a day do we find ourselves saying “if only…”? If only I were taller, shorter, skinnier, blonder etc. We go on and on and we use all these products to change ourselves – make-up, spanx, hair spray, straighteners, high heels, extensions and this list goes on. The real kicker is the fact that we are lead to believe that these things will help us “feel better” about ourselves. My question is, at a time when we have the most “feel better” products available in history, why do women, arguably, have the lowest self-esteem in history? Don’t get me wrong, I love playing “dress up” as much as the next girl; playing with make-up is fun and if it is used to enhance ones natural beauty, that is one thing. However, it’s when women and girls believe they NEED these things or have to change themselves to be of value, that is when we are doing 1/2 the world’s population a huge disservice. According to The American Society for Aesthetic Plastic Surgery, approximately 13.5 billion dollars were spent on cosmetic surgery in 2016 alone and rising every year. Why do we think we need to do this to ourselves? Continually remind yourself that you are your own worst critic. Let people around you know when you need a self-esteem boost. Contrary to popular belief it is OK to ask people for reminders of how amazing they think you are (I know someone who will occasionally say to her husband, “I am feeling really down on myself right now. Please tell me 3 good things about me or that I do well, having nothing to do with looks”). The more you ask for what you need, the more likely you are to get it. Make time to do at least ONE thing EVERY day for yourself, even if it is only a small indulgence CLICK HERE for a wonderful Self-Care Wheel full of ideas that I give to many of my clients! Meditate – There is a wonderful app that reminds you throughout the day to pause and take two deep breaths, as well as, provides meditation exercises when you have a little more time. It is called Mindfulness Daily, I love it! Help someone! You can volunteer for a non-profit organization or you can just take a meal to a sick friend. Altruism is the best antidote for depression. If you are exercising and you find yourself falling into negative or stressful thoughts or you are not enjoying it – STOP and try again tomorrow. I know those rules are not for everyone, but I thought they were pretty good! To end this post, I would like to share a new music video by Colbie Caillat that brought tears to my eyes because the message was so beautiful! Comforting friends or family members during particularly difficult times in their lives can be hard to navigate. People often don’t know what to say or do for the person that’s hurting. This often leads them to fall back on social, albeit insufficient, niceties like “I’m sorry” and “Look at the bright side”. While these sentiments are often appreciated, they can feel lacking. While you cannot protect your loved ones from suffering, there are a few ways you can appropriately show support. Recently, I have had clients and people in my personal life struggling with everything from work-life balance, relationship issues and anxiety to divorce, cancer, and everything in between. I have found that compassion and empathy are the best responses when there is no response. As a result of the sudden influx of these occasions in my own life, I thought I would come up with a “Do’s and Don’ts list” to help others that find themselves in a situation where they want to be there for their hurting loved one, but simply do not know how. Humans are natural storytellers because it is how we process trauma. When we talk about our experiences we are able to make more sense of them and our brain is better able to digest them healthily, reducing the impact of the trauma. The most compassionate thing you can do is provide a safe place for your loved one to express themselves and their experiences while feeling your love and support. At the end of the day, it’s all about connection. What can you do to connect with your loved one when they need connection the most. How can you be there with them as they process their trauma. One of my therapist idols, Dr. Brene Brown, does a beautiful job of explaining these Do’s and Don’t in the terms of “Empathy” and “Sympathy”. I am going to close this post with one of her videos and I encourage everyone to watch. Sign up today for Addressing Anxiety and/or Navigating Narcissism on February 18th! This workshop is an introduction to self-regulation and combatting anxiety. Participants will learn to recognize feelings within their bodies and how to use that information to calm their nerves.This workshop utilizes hands-on activities to help support the information presented. Participants will leave this workshop with a list of immediately executable techniques to help lessen their anxiety while also increasing their internal awareness. Participants will learn to identify a narcissist and navigate the relationships with the varying narcissists in their lives. Participants will also be introduced to the many types of narcissists and the behaviors and traits demonstrated by each. The goal of this workshop is for attendees to walk away with the knowledge of how to separate from or maintain a relationship with a narcissist without sacrificing the self. This workshop is particularly helpful for those who feel they may be the adult child of a narcissistic parent, but is applicable to all narcissistic relationships.